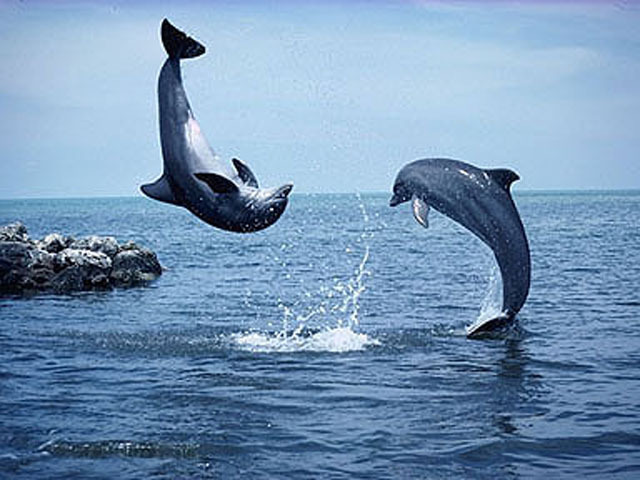 After a joyous dolphin-filled walk on the beach I was ecstatically full of vitality and exuberance. It’s astonishing how watching the playfulness of surfing dolphins could raise my heart song to a new octave of love-vibration. Such magnificent animals. I was wowed by the graceful beauty as they soared along the crest of the waves or flipped and jumped from what I dreamed was absolute delight. In my fullness I turned around to see Kenneth, sitting on the beach appreciating the same dolphin show. From out of the corner of nowhere I was overtaken by a flood of awe at this human being right in front of me. How beautiful and miraculous we human beings are! And I wondered, how would my life be different if I saw each human being my path crossed as magical, glorious and captivating as I saw these dolphins? My reflections turned toward Japan; the very different reality so many souls are experiencing there right now. Turning my heart toward them I realized that the greatest contribution I could make, in this moment, was to offer the highest vibration of my life force to every moment and every one. And to send that vibration of love across the miles to my Japanese family. I felt deep gratitude for the gift the dolphins blessed me with. “When I woke up this morning my first waking thought was of the Japanese people and what horrors they are faced with. Thinking of how I could serve most from so far away. The answer that came to me was: Do everything you do with even more focus on love. I want to encourage you to do the same: That we consciously dedicate every act in our daily life to love or the divine…using the disasters in Japan as a wake up call – a challenge. Imagine a beam of light originating from your heart. Direct this healing light out toward Japan and see it enveloping the whole nation. Thanks Sharon, I feel more love in me and around me after reading your note. Are you guys going to see Jen and Steve in NZ? Miss you guys. Love and hugs to you, Katie. YES! We get to see Jen & Steve …. and SO excited to see Celeste & Nicholas … I’m in need of some “in person” Bayfield love.